Despite the talk that automation will end up taking our jobs, I believe that, like every other major revolution, it will create even more opportunities. People will be able to thrive in their existing roles because they have more time or in new roles that are being discovered. These categories aren’t all consumer facing roles. Some are—and you’ll be able to tap into brain power to improve your business, but some can be employee focused where you can find talent to help your employees grow. Let’s discuss three job types that will thrive with automation. How will this all begin? Work in and of itself will be redefined as automation takes its hold. Think about all the small mundane tasks you do on a daily basis. As automation becomes commonplace in the workplace, you’ll likely be able to pass some of those tasks off to a machine. Sounds exciting, right? What does this mean for us? Hello, free time! It means we would have more time to spend doing things that a machine just cannot do. You’ll get to focus on the creative aspects of your job. Let your brain actually do some thinking and innovating. As much as I hate to sound scientific, you’ll be able to let your human-like capabilities flourish to prove your value. This is where the three job types that will thrive with automation come into play: creatives, composers and coaches will start to take off. Consumers nowadays are not interested in your typical product and experience. They want authenticity and uniqueness—a brand they can connect with and feel good about after purchasing. This is where the creative in your organization can thrive. Creatives are individuals who understand customers’ needs and wants and deliver creative and tailored products. They believe strongly in customization and their sole purpose is to drive the customer experience with their products or services. With automation eliminating time consuming tasks, creatives get to focus on innovation and product development. They get to spend more time creating ideas and innovating existing products. Then, also thanks to automation, it’s likely that these products could be churned out at a high rate. Have you ever bought a product because of the experience even though you could probably get it cheaper somewhere else? Or driven out of your way to go to a store that has a better atmosphere? You’re not alone. In fact, 86 percent of buyers will pay more for a better customer experience, no matter the product or service. Creating the best customer experience for every customer is where composers come into play and it’s why it is one of the job categories that will thrive with automation. This might be one of the more interesting job types that will thrive with automation. While less and less time will be focused on the mundane tasks, people will have more time to focus on growing themselves as a person. 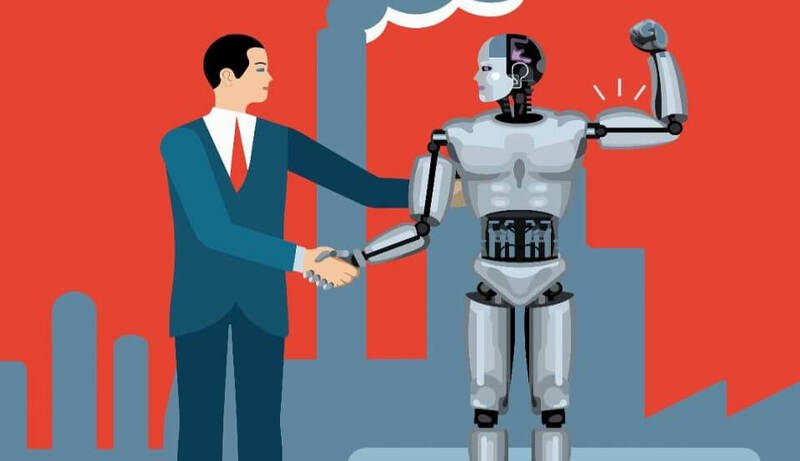 In fact, I believe the key to automation being a growth engine rather than a means to replace jobs, we are going to need a path for people to grow and adapt to human/machine partnerships. This is where the coach can really shine. A coach, just like on a soccer field, is a person who assists people see their potential in a certain area and capitalize on it. This category isn’t directly related to automation, but like continuing education, it is one that has a lot of potential because as automation becomes more pervasive, people will need help to adapt into our changing world. Career coaches, wellness coaches, leadership coaches, financial affairs experts, life coaches—to name a few—are all going to be able to thrive. To help your employees succeed in different areas, you could hire someone in one of these roles. If you’re really focused on improving your employee experience, a wellness coach, for example could help employees improve work-life balance. It will show your employees that you care. In terms of professional development, career coaches, coupled with the power of software apps that help define a persons interests and potential could maximize their ability to chose a path where they can grow and hopefully stay adaptable as not to become obsolete as AI and Automation advance. The truth is, business will become less and less reliant on humans to do mundane, repetitive tasks. Automation will take over and we will be able to use our minds and our creative ability to make a difference in business and ultimately the world. We will be able to create more, innovate more, and achieve more when we have more time to focus on other things. I can’t wait to see how the creatives, composers, and coaches thrive in the future. Rather than titles, it will be these categories that best setup individuals for long term success. Begging the question, what category do you think you will fall under?